Remember the radio-controlled 3-channel Micro Mosquito that we wrote about last year? It has now been released in version 3.0, featuring orange LED eyes and an extra pair of legs. 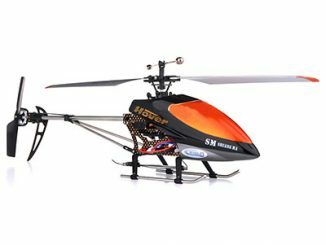 Utilizing patented twin rotor technology combined with a horizontal tail rotor and proportional radio control, this micro chopper is exceptionally stable and easy-to-fly in a remarkably small room. 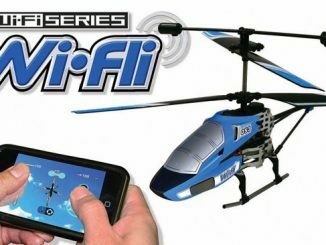 The controls are so precise you can let it take off from the palm of your hand, hover and descend, turn left, right, forwards and backwards under full three dimensional control, and land it wherever you choose. 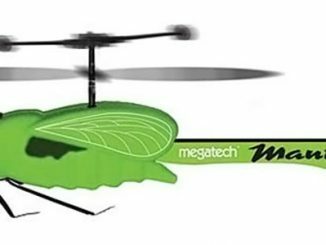 The mosquito 3.0 comes with a helicopter launch pad that also acts as a convenient portable charger with LED indicator and auto shut off facility, up to 7 minutes flying time can be achieved from a 20-30 minute charge. 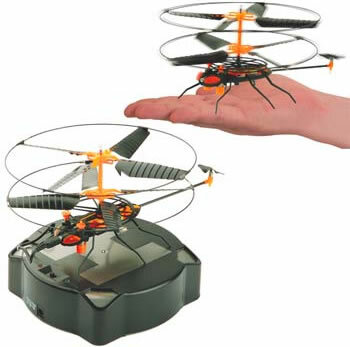 Incorporating a unique external drive system for sensational smooth flights, this miniature six legged flying insect is sure to have both gadget and flying enthusiasts ‘bitten by the bug’ for fantastic desk top fun. Mosquito 3.0 flying insect with led eyes. 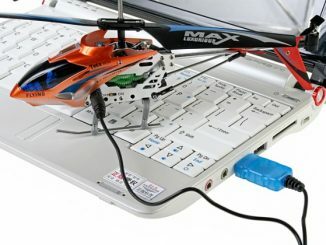 Weighs only 30g, including flight battery. Rechargeable flight battery: High capacity integral 3.7v lithium polymer pack. 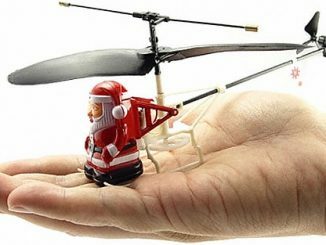 Convenient portable charger plugs directly into helicopter. Incorporates led indicator and auto shut off facility. Charging time: approximately 20-30 minutes for full charge. Flight duration: 7 minutes or more, between charges. 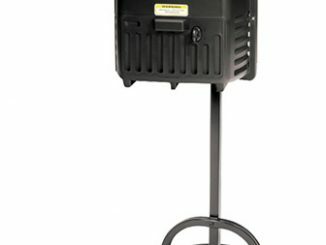 Transformer with the micro mosquito base unit, if preferred. 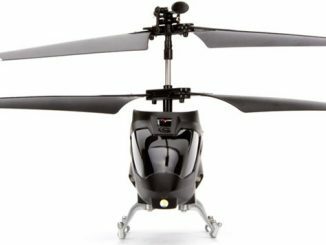 Supplied already charged and completely assembled ready-to-fly in the smallest of spaces, with pre-installed 3 channel digital proportional radio control. Take off, hover and descend, turn left, right, forwards and backwards indoors under full three dimensional control. Special features: two orange led eyes allow flight in the dark. Instruction manual included: providing helpful tips for both the new helicopter pilot, or current Bladerunner enthusiast. Batteries required: 1 x 9v 6f22 alkaline battery for transmitter. And 6 x 1.5v alkaline c cells for charger. 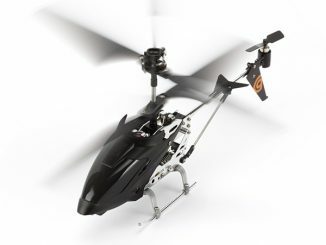 Product dimensions:Dual main rotor diameter 160mm, Body length 160mm excluding rotors, Overall length 200mm. 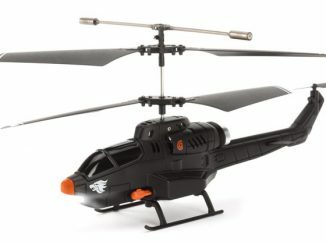 You can get the Mosquito 3.0 R/C helicopter from Amazon. 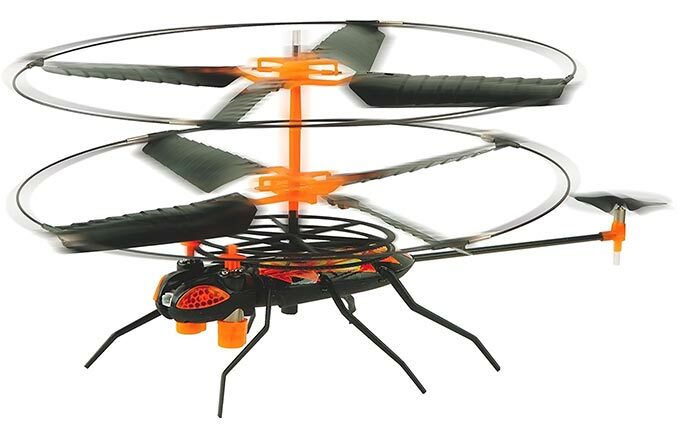 Easily one of the better low-cost indoor helicopters out there. They keep improving them too, which is great! 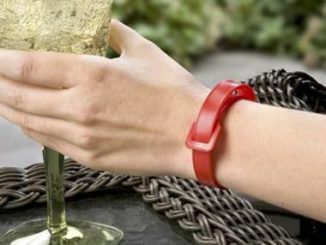 Yes, I think I will have to order myself one of these. My Palm Z plane is broke, it would be nice to replace it with a cool little helicopter.